DocuTAP is one of the most popular tech tools for on-demand healthcare facilities. The EMR/Practice Management app was built to deliver better urgent healthcare experience. However, if you are looking for DocuTAP alternatives for more efficient medical practice management, you may consider the list of DocuTAP Top 5 competitors below. The cloud-based practice management solution is easy to use. It works efficiently as medical billing software designed with scheduling, inventory management, and laboratory management capabilities, which ensures that you get paid fast. An apt solution for the efficient management of a medical practice of small and medium size, CollaboateMD is modular based designed to handle payment processing, claims tracking, appointment scheduling, and electronic patient statements. The tool supports various data formats for the seamless import and export of data. 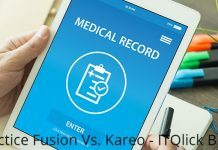 The medical practice management solution is ideal for medium-sized medical practices, although the company claims it as the best tool for practices of all sizes. MacPractice DC is designed with a number of capabilities to facilitate employee time tracking, billing and invoicing, inventory management, and insurance verification. The software makes it easier to create paperless patient workflow. It also helps organize patient images, photo records, and scanned insurance cards. Users can effortlessly create patient payment plans with MacPractice DC, which automatically converts those plans into patient’s ledger. Some other capabilities that give MacPractice DC an edge over some other medical practice management solutions include patient portal, electronic prescription, appointment scheduling, and lab integration, and insurance verification. If you want less hassle while making good revenue from your medical practice, QuickPractice is a great option. As one of the DocuTAP top 5 competitors, QuickPractice is ideal for urgent care facilities looking for an app to enjoy quicker and smarter billing support to reduce collection time and grow revenue. 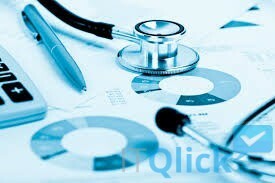 Quick Practice is ideal medical practice management software for organizing and maintaining patient database. Some of the leading capabilities include calendar, electronic billing service, and dispensing that are highly useful for management of a small or medium medical practice. QuickPractice offers a 30-day free trial so interested users can explore its functionalities. There are three QuickPractice versions to choose from, with all options being upgradable. However, the software runs on Windows alone. You cannot convert and import archival financial data. Eyefinity is among the DocuTap to 5 competitors for no reason. What gives it an upper hand is its range of capabilities that make for an efficient medical practice. Some of its features include inventory, billing, appointment scheduling, electronic remittance advice, insurance billing and lens product loader, covering every need of an urgent care practice. It seamlessly maintains important data and manages patient demographic information, which is easy to enter and access. Eyefinity OfficeMate displays no shows, last appointment, balance, and cancellations. It gives users the ability to glance at previous work. It is seamless to process orders or patient information. However, Eyefinity should implement better customer support with more flexibility. ScriptSure EMR gives good competition to DocuTap for its electronic prescribing capabilities. 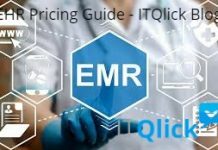 Its unique approach to EMR makes it easier to select and purchase the modules you want. ScriptSure is easy to navigate and user friendly, which enables medical practices to chart within patient profile. In terms of prescription writing, ScriptSure is the best. It comes at an affordable price, which makes ScriptSure a perfect fit for small urgent care clinics, especially given the number of features it offers. Its e-prescribing tools help users to effortlessly send prescriptions to retail pharmacies. Users can even receive electronic refill requests. The patient medical records software is designed with a centralized patient database for quick access to patient medication history. The application comes with approval process controls that enable users to quickly approve or deny refill requests. With its comprehensive drug database, the software facilitates the task of searching and prescribing drugs based on class, brand, and specialty. With so many tools available, it may be challenging to find the best medical practice management software that exceeds your expectations and poses a good challenge to DocuTap. When you consider DocuTAP top 5 alternatives, it is important to pay attention to functionalities, mobile support, integrations, customer service, besides pricing. The software you choose should be a complete package at an affordable rate. 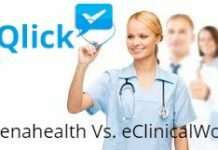 If you are unable to find the DocuTAP top 5 competitors, get in touch with ITQlick. Let our experts make the best software recommendations for your business. 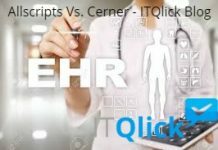 Cerner Vs. Epic – #1 EHR?